Last September the Spanish art collective Luzinterruptus (previously here and here) was invited to Caracas, Venezuela to participate in their urban arts festival Por en Medio de la Calle (In the Middle of the Street) which celebrates the importance of public space. Luzinterruptus stuck with one of their recurring themes: water. 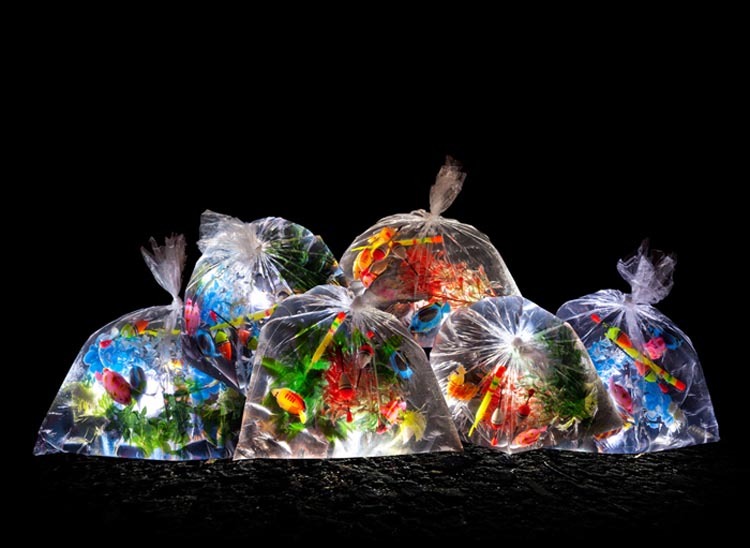 It is common for the streets of Caracas to flood in the rain, so in the hopes of having viewers stop and admire the element, they created a Portable River (Rio Portatil) filling 2000 transparent bags with water and made into ephemeral aquariums with toy fish and plants, highlighted with lights. 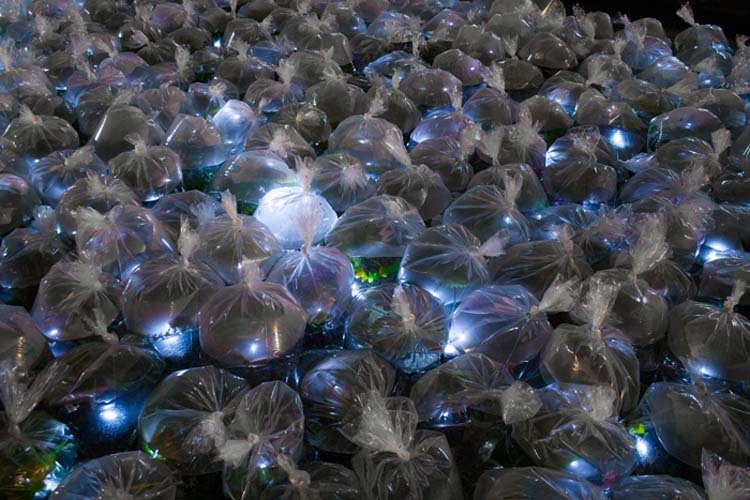 At the end of the night, visitors could take the illuminated ecosystems home with them. There is nothing more beautiful than a bunch of plastic crap floating around in plastic bags in mass, all over the street. And then you get to take the ‘plastic crap’ home with you! Yes, I was a little surprised since Luzinterruptus’ installations often involve recycling of materials, but maybe there’s more to this that I’m not aware of.